Location: sojourning....looking for my city whose builder and maker is God. damm awesome #'s guys, i really thought that there would be lower #'s, but damm im not complaining!! there are A LOT of poeople in the 400+ mark... thats AWESOME! ORY, Magnaflow CB, and 226/226 584/584 112 cam. a '02 CETA M6 with lid and K&N 327/340. 310 isn't bad for not touching the engine, and leaving the Slowmaster on that came with it. Last edited by lilbuddy1587; 10-15-2005 at 09:16 PM. 377 thru the 9" & steel driveshaft. Find More Posts by Steve C.
Last edited by 02 Camaro SS; 08-22-2005 at 12:01 AM. 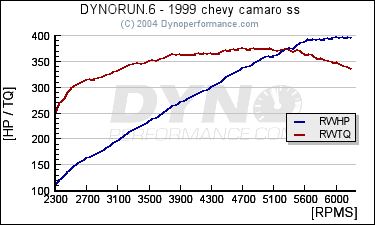 Dyno'ed at Straightline Performance today... Real happy with the numbers! Mods in sig. No tune, heads have never been off the car. Visit Brian Tooley Racing's homepage! Have been very very happy with it! Going back to stock soon though for turbo.